What's better than seeing your name up in lights? Well, seeing them in jellybeans of course! Jelly Belly are currently running a competition for people to decide on the flavour that sums up Great Britain, on their Facebook page. 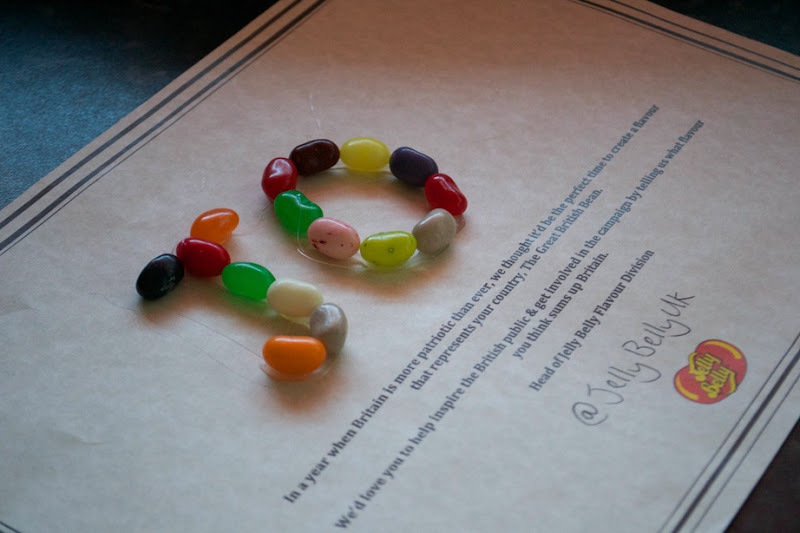 They asked me to have a think and come up with an idea for a proper 'British'-flavoured jellybean and I reckon I've got a good one. The first flavour that sprung to mind is roast beef and Yorkshire pudding flavour. Or a Chicken Tikka Masala flavour, to represent our national dish. But then I quickly realised that sweet flavours seem to work much better with a jellybean, and I don't think even I could stomach a fish, chips and mushy pea-flavoured jellybean. 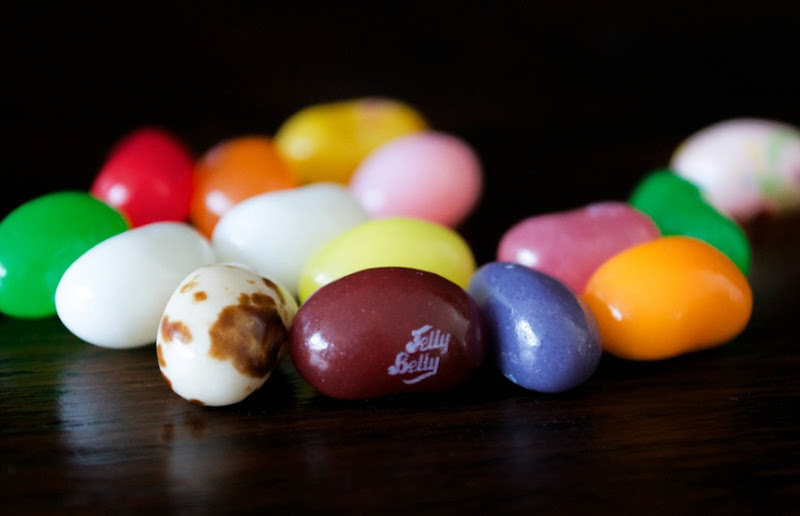 Jelly Belly beans: could you stomach a fish and chip flavoured jellybean? So I thought about Eton Mess, with flavours of meringue, cream and ripe strawberries, but it just didn't seem to hit the spot. Ripe, English pears, too. And then I cracked it. Apple crumble with custard. You could have the tartness of the Bramley apples and the sweet vanilla-scented custard, which would all work so well with the chewiness of the jellybean. Genius! What do you think? Which flavour do you think sums up Great Britain? Do you think it's possible to choose only one flavour? And get yourself on the Jelly Belly Facebook page to enter!